The rise of eSports, professionally played video games doesn’t seem to be stopping anytime soon, with its popularity and its prizes ever increasing. 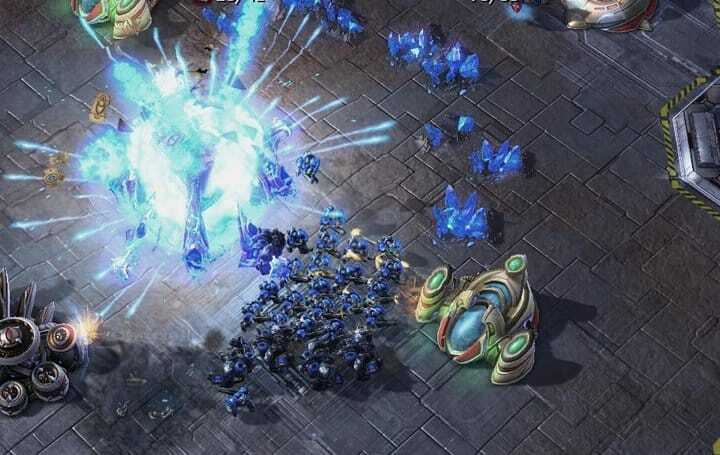 One of the most successful eSports is StarCraft 2, a strategy game with a passionate following. Here at Master Mazuma, we don’t only offer the best eSports bets, but we’ll take the time to explain everything you need to know about each game. In this guide to Starcraft 2 betting, we are going to look back at the history of the game, and see how what began as a humble video game has become a phenomenon with prestigious competitions. We’ll also answer all the questions you may have on Starcraft 2 betting. But before we can focus on the professional tournaments and StarCraft 2 betting markets, it would be helpful to have a reminder of what StarCraft is. The original StarCraft game was released way back in 1998, so long ago that it was only originally available on Microsoft Windows. However, there is no doubt that it was a game ahead of its time. In fact, the game recently became free-to-play, so you may want to take a look. the Zerg, a species of aliens intent on discovering genetic perfection. The Zerg are the traditional baddies of the franchise but players are able to choose their preferred side in the hope of coming out victorious. The battle between these three species is what’s at the very heart of the StarCraft video games and the StarCraft professional competitions. Gameplay in StarCraft 2. Source: XelQron via Facebook. Players are required to discover their surroundings in a detailed map, and must seek out certain resources if they are to survive. Each player tries to destroy the enemy’s base whilst defending their own. They must also decide which military units will serve them best in their attempt at conquest. Each unit has different abilities, making it a difficult decision to choose a path to glory. StarCraft 2: Wings of Liberty was released in 2010, and matched the roaring success of the original game. The storyline carries on the struggle for dominance between the three species, and has now become the focus for almost all professional StarCraft competitions. There are many reasons why we love StarCraft, but the biggest is definitely the three species, each of which offers rich history and unique characteristics. This guarantees that players have to make difficult tactical decisions when choosing their species and which military units to use in their quest for victory. These tough decisions make it equally challenging for viewers to predict what will happen, something we will explore later when we look more into StarCraft 2 betting. This diversity in playable races is one of the reasons why StarCraft is so great to play (or watch, or bet on) in competitions, and why it is so popular with us here at Master Mazuma eSports betting. Each year sees a StarCraft 2 World Championship Series, showing just how popular the game has become across the globe. The 2016 World Championsip Series Global Playoffs saw the world’s elite battle to be crowned champion, with ByuN from South Korea ultimately defeating fellow countryman Dark to claim the gold medal. The South Korean Proleague, although recently disbanded, featured seven leading teams and was last won by Jin Air Green Wings. 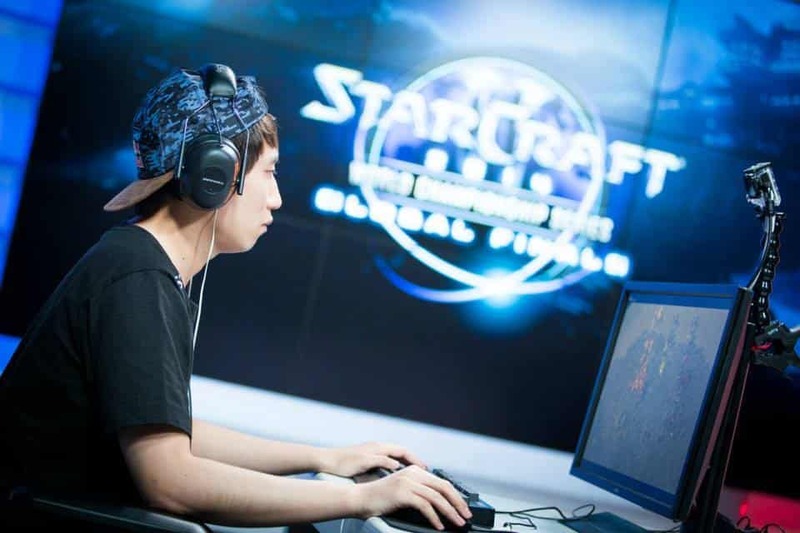 In fact, South Korea is the country where many of the world’s finest StarCraft 2 gamers call home. ‘Bomber’ participates in the 2014 World Championship Series. Source: StarCraft via Facebook. The Global StarCraft 2 League is hosted by South Korea and offers a long and tough format for players. With matches streamed on Korean television and thousands of dollars in prize money at stake, StarCraft 2 is just as intense and exciting as any other eSport out there. The player known as Mvp is widely considered one of the greatest players of all time and was part of a team known as Incredible Miracle. With several titles to his name, Mvp reached career earnings of over $300,000. Your goal when betting on StarCraft 2 is to find such top notch players and bet on them while they’re still fairly new and are likely to pay out more. StarCraft’s popularity means that its availability in betting markets was always just a matter of time. There is no better place to bet on StarCraft 2 competitions than with us at Master Mazuma. It’s a rather complicated game to master, but this also means that there are great opportunities for profit by taking part in StarCraft 2 betting. For example, the three species of the game are so well balanced that there isn’t a clear favorite, each player seems to have their own. Therefore, you will need to look at specific players and consider their form. As in all sports, sometimes teams and players can experience tough runs, and these runs are rarely easy to break. This is very true in StarCraft 2, and if a player’s confidence is low then they can struggle in the unforgiving gameplay. Another factor to consider is how each player has fared in previous matchups. In the sport of tennis, players often have unexpectedly high levels of success against certain players, and struggle against others every time they meet. Sometimes certain players are particularly good at exploiting another player’s weakness. It does not necessarily mean that one player is better than the other, but rather that it is a favourable matchup. The same applies to this eSport, and is an important factor when considering StarCraft 2 betting. StarCraft’s legacy is clear, from the substantial prizes at tournaments to the global access to StarCraft 2 betting. The creators of the game in the late 1990s could never have imagined the global appeal that the game would have, yet they have produced one of the world’s leading games. But don’t just take our word for it. IGN called the original StarCraft game “one of the best, if not the best, real-time strategy games ever created.” This is why it has become such a successful eSport, and why people in Korea watch it even on the television – maybe other countries will soon follow. As we mentioned above, confidence can be so important in the world of eSports where the smallest decisions can be the difference between victory and defeat. There is no clear path to victory, which is part of what makes it so compelling for players, punters and viewers alike. All this is what makes this eSport so exciting and gives it such a potential for great returns on your bets, especially if you choose to bet with us here at Master Mazuma. Join us today to gain access to all of the best betting markets on StarCraft 2 and a wide range of other eSports, including Counter Strike: Global Offensive and Hearthstone.